Immerse yourself in the story of Ireland’s Ancient East in County Carlow. Get off the beaten track to see, hear, touch and feel the imprints of the millennia of settlers in this county. Take your time to discover it all – Stone Age artefacts, monasteries, medieval castles and large country houses and estates. 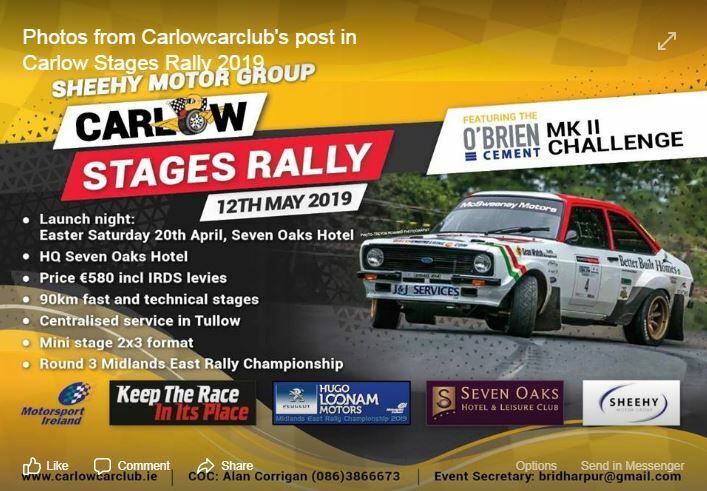 Drive leafy roads, explore the meandering River Barrow and Slaney, or the Blackstairs Mountains and Killeshin Hills, that once protected the original inhabitants and nowadays provide unrivalled vistas of Carlow’s lush, green landscape. Take in a festival, try local fresh produce or taste local specialities, many of which trace their roots to ancient times. There is more to Carlow than simply its rich Celtic past. It is this dynamic combination of past and present that characterises Carlow’s streetscapes. Summerfest Carlow will be held on the June Bank Holiday weekend of Saturday 1st and Sunday 2nd June 2019. Carlow County Council in association with Carlow Tourism and Kilkenny and Carlow ETB are running a Tourism Visitor Care course and Tourism Priniciples and Practices course, as part of the Town and Village Renewal Scheme. These are FREE courses, but booking is essential. The Sheehy Motor Group Carlow Stages Rally Featuring The O’Brien Cement MK11 Challenge, a now unique car in motoring history. 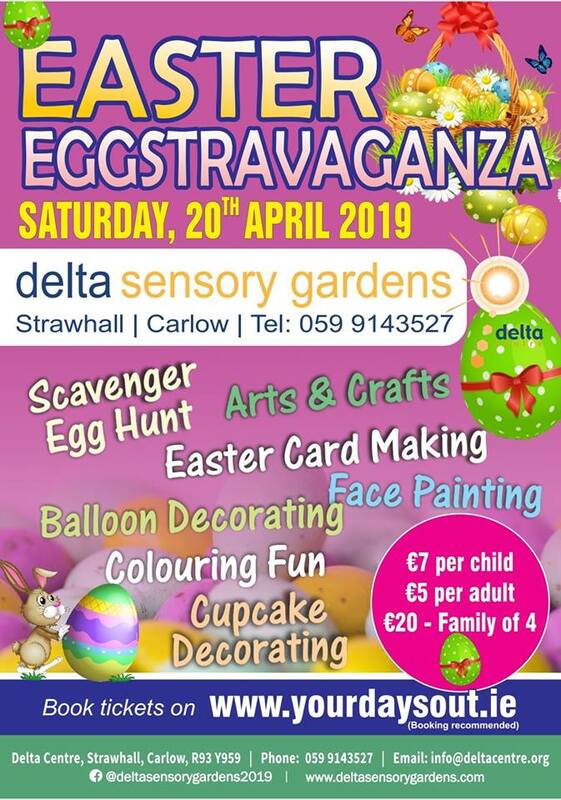 EASTER 🐰🐣🐥 at Delta Sensory Gardens on 20th April. So much fun to be had. April 21 @ 6am - 8am. This is the tenth year the Easter dawn mass takes place at Oisín Park, Rossmore, Killeshin, near Carlow town. This is County Carlow, the hidden Ireland, a green Ireland of country roads and winding lanes, of towpaths and waterways, of mountain trails and forest tracks which lead the visitor through a hinterland of neat friendly villages and well-ordered small towns to ancient monastic sites and archaeological wonders from another age. This app with many tours of Carlow town and county was developed jointly by Carlow County Council and Carlow Tourism.